Tombstone shaped Crossbow Case custom-designed is a rigid soft case that securely protects your Matrix crossbow wherever your travels take you. Its semi-rigid construction features EVA panels for stout protection against bumps and drops, and a heavy-duty 600d Polyester outer material and 420 interior Nylon with custom padding delivers unprecedented security. The streamlined Tombstone Case is also extremely functional. 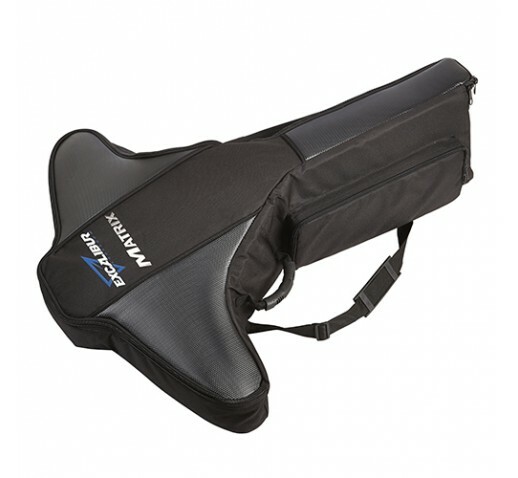 It features two large padded storage pockets for accessories and a quiver, heavy-duty zippers on the body and pockets, a strong sling and carrying strap. The Tombstone is specically designed to handle all of Excaliburs Matrix crossbows.